This bike is no longer available. As of May 2018, the Mach 429 has been replaced with the all-new, 2019 Trail 429. The Trail 429 sees the rear wheel suspension jump to 120mm, a slacker head tube angle and longer reach. We hope to review the new version in the coming months. The Mach 429 Trail is Pivot's efficiency minded cross-country / trail offering. As a 29er, it's a straightlaced and focused machine that speeds through uphill miles pretty painlessly. In this guise, the bike is a proficient descender, with precise steering and a surprisingly hearty suspension feel for a 116mm travel bike. Unsurprisingly, its pleasantly light and nimble nature gets tossed around in the rougher sections. It's much better on smoother downhills where the bike takes its fun very seriously. Despite the trail nomenclature, we found the 29er Mach 429 Trail a bit overwhelmed by a number of our mountain town trails. Our testers also had a hard time getting back behind the saddle, a fit issue. If you stay off the intense descents, the Mach 429 Trail is a solid performer in a racey, cross country kinda way. Springing for knobbier tires and wider rims, or going with the 27.5+ version, goes a long way to expand its range. Its efficiency gains a stability and a sense of humor when you slap on 27.5+ wheels. 2018 Mach 429 Trail Available — The 2018 version sees a number of small component tweaks that will likely improve a few aspects of this hard-working bike's performance. We'd take the Mach 429 Trail for 30 miles on an aggressive xc trail. If you mostly ride flowy trails with a minimum of techy / big-hit descents and want to be able to hang with the xc crowd, this bike is a great pick. The 110mm Santa Cruz Tallboy 29er is a more comfortable climber however, and a livelier and more confident descender than the Mach 429 Trail. Both bikes accept 29 or 27.5+ tires. The 2018 Pivot Mach 429 Trail remains largely unchanged from the 2017 version we tested. A few minor tweaks to stem and handlebar length will likely improve performance while downgraded wheels will probably detract. See a summary of the differences below. Handlebar — The handlebar lengthens from 740mm to 760mm. We appreciate this shift as 740mm felt a little narrow. Stem — The stem moves from 50mm for a size large to 65mm for a medium to an XL. (A small gets a 45mm stem.) The reach on our 2017 size large is a tad tight, so the addition of 15mm sounds great. Wheelset — Switching from DT Swiss XM 421 w/ 25mm ID to DT Swiss M1700 w/ 25mm ID is a downgrade that will likely result in slower hub engagement. You can find the 2018 version on Competitive Cyclist for $6,499. We're not sure what's behind the extra $500. With 27.5+ tires the Mach 429 Trail gains confidence and amps up the fun factor. In its 29er iteration, the Mach 429 Trail lacks confidence. It's short travel rear end and narrow hoops favor the smoother, racier sections of trail. Swapping the wheels out for a 27.5+ set reveals a far more grounded steed. The tires eat up chunder and smooth out the bucking sensation we got on the 29" wheels. Suddenly, 116mm of rear travel feels sufficient for a wide range of trails. The bike keeps its quick handling and dexterity but gains forgiveness, serving up the kind of traction we've come to expect from plus tires and unveiling a more playful nature. All that rubber slows you up, but it's a welcome addition on rocky and technical trails and still feels efficient, and you gain insane fun factor points. It's easier to get into the air than the 29er build and is light and predictable in flight. The extra traction also let us put those powerful Shimano brakes to good use. We feel comfortable pushing the plus-tired bike much harder than the 29er version. Overall it's a great crossover bike, passing for a cross-country racer when wearing its 29er wheels and feeling like a true blue trail basher in its 27.5+ guise. It works better in both wheel sizes than the Specialized Stumpjumper. The Mach 429 Trail's 2.8" plus-size Maxxis Rekon and Ikon (front and rear) tires seem like the sweet spot, whereas the 3" Purgatory GRIDs on the Stumpjumper feel sluggish. The plus-size Pivot is easier to get around turns and faster to accelerate out of them. 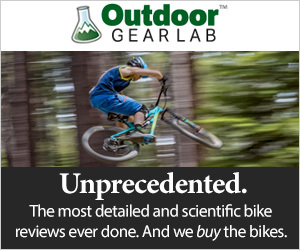 They are also less finicky, giving you a 15psi playground to vary your ride quality from super squish to hardpack efficiency. The Pivot Mach 429 Trail is an excellent bike for smoother trails. The plus-size tire craze is settling into a sense of normalcy. An increasing number of boosted bikes outfitted with a geometry tweaking, rotating "chip" let you run 29 or 27.5+ tires. Options are awesome on such an expensive purchase, but we don't know any riders who switch out wheelsets regularly. Most just find what they like and stick with it. With that in mind, we liked the Mach 429 Trail a bit better in its 27.5+ guise. But the cross-country efficiency of the 29er iteration cannot be denied. Here we dive deep into a review of the 29er. A gyroscopic feel and whimpy tires kept us from loving the corners on the Mach 429 Trail. The Mach 429 Trail is not the most fun bike in the test. As one tester explains: "It's like a great employee that you don't want to get a beer with after work." It's excellent when you want the job done, not so great at the jokes. This is especially true on challenging descents. Mostly you're on your game, just trying to get down. Its speedy nature and the slight twitchiness you can get steering through rocky terrain can feel playful, but it's not the type of lively we prefer. The Mach 429 Trail is balanced off the jumps and launches, but we didn't twist the handlebars or anything. This bike means business. The Mach 429 Trail does fun better on flow descents. Smoother uphill climbing is fantastic. Climbers demanding a well-engineered ride will be very happy. Where this bike gives you the grins is on an all-day cruise ride. When flying along singletrack for miles and miles, it has cross-country skills with a trail bike feel. That'll make you smile. The Mach 429 Trail comes in on the lower end for this metric. It's efficient fun. The highest ranking bikes are either uber playful or extra aggressive. The Mach 429 Trail is certainly capable on the descents but is a rough ride on rough trails. Stacking a 116mm xc/trail bike against uber aggressive trail bikes that edge into enduro category is a broad-ranging comparison and an informative one. Everything has its place and time. When descending on laid-back hardpack singletrack, the Mach 429 Trail arrives. The Mach 429 Trail is fast and direct on mellow terrain. As one tester says, it's "like having a mullet at a Skynyrd concert." On straightforward terrain, everything is glorious, with the front and rear working well together. On the flip side, riding the white lighting down a rugged mountainside is a harsh experience. Though the suspension takes everything we toss its way, it doesn't do so gently. The svelte 27lb Mach 429 Trail is skittish in chop and harsh on big hits. We are more inclined to hop over obstacles than to plow through them. The Mach 429 Trail's boosted 130mm Fox Float 34 fork punches above its weight class, aided by an extra stiff front triangle. On the bigger hits, the Fox fork feels abrupt, and the small bump compliance isn't the best. But it holds up on trail, and we aren't particularly worried about bottoming out or going over the bars. We suspect the burly joint fusing the top and down tubes is what keeps the bike from feeling very poppy or playful. Hard to say, but the angle of approach is well worked out, handling the trail in a predictable manner that compliments the 29er wheel size. Still, fist-sized rocks can deflect the front wheel, and the head tube can feel steep when you're not in the rear travel. It can handle the big hits but not so great at small bump compliance. The Pivot went low volume and linear in the rear with a Fox Factory Float DPS, giving the Mach 429 Trail a firm and fast feel. The Pivot rattles you around and blows through the travel quickly but never bottoms out. On technical trails, the Ibis Ripley and Santa Cruz Tallboy feel more confident. On the technical descents, where you need to trust your bike the most, the Mach 429 Trail doesn't have the suspension or low center of gravity save you from poor line choices. It's scrappy though, if you're on your game it will get you through. The Mach 429 Trail is a pistol, but you can't just haywire it down the hill. You have to be on it more than bikes like the Ibis Ripley or Santa Cruz Tallboy. Its steering is assertive, predictable and capable of surgical precision on moderate trails or at moderate speed. Unfortunately, it can also get twitchy when descending steep pitches and cumbersome in a typical-29er way when rolling slow. Even on smooth tracks, the Pivot feels best between 70% to 90% of speed, or even less. At 70% it starts coming to life. After 90%, your fingers start creeping to the brakes. It's smaller 2.3" Maxxis High Roller II and 2.25" Ardent tires don't help. Their lack of traction stole some confidence in the corners and on the steeps. Sharp steering will get you online, but the small tires and less than supple small bump compliance can make it hard to stay there. The bike takes moderate corners on less steep terrain with an energizing, light but stable feel. You just rock your body back and roll around. Steep, fast turns are harder. The aptly named Mach picks up so much speed in the straights that it's hard to shut down. The bike pushes corners, and there's not enough tread to want to open it up. Even with great trail conditions, we were getting two wheel tire slides. The Maxxis Ardent on the rear is especially inadequate. It also takes energy to pull the bike over to its side knobs to engage sharp turns. The bike feels long and would rather stand up and track straight. Our smaller testers (both 5'7" and 140 pounds) needed to muscle the bike off of its preferred straight-lining trajectory. (The medium would have probably been a better descending bike for them, though they fit the large on the climb.) The other option is to slow down and steer through. That doesn't work flawlessly either. Moving up over the front end to properly wrest the handlebars around equals twitchy handling. Giving you confidence in your ability to keep up on the climbs and in the mellower descents the Mach 429 Trail isn't as solid on the rougher descents. While it doesn't have that awkward on stage at a party feel of some 29ers, it's still a big bike. It also has a slack seat tube angle. Measured at 71-degrees, it's the slackest in the test. As a result, we have a hard time dodging the saddle when seeking a speedy retreat off the back. A relatively short reach, measured at 418mm, combined with a relatively long top tube, measured at 632mm, means you have to push your backside further behind the bottom bracket, and your feet, than you do on the other bikes to get behind the saddle. It's manageable, only feeling consistently desperate for our 5'7", 140lb downhill tester. The Mach 429 Trail scores below average for downhill performance, tieing with similarly short-travel bikes that don't transcend their travel range. While its cross-country roots show on roughest trails, when the going gets smoother, the Mach 429 Trail feels like a trail bike. Point it downhill and do nothing and you'll have a trail-bike amount of time before things feel out of control. A true cross country steed would go rogue, and force action, much faster. The Pivot Mach 429 Trail came in fifth in our downhill time trials, which took an average of 3:41 minutes and seconds to complete. Results show in the number of seconds each bike gained on the slowest in the test, the Intense Recluse. The Mach 429 Trail accelerates like a race machine. It pedals and rolls fast, so you have to think fast to keep it on line. It works great on the smooth straightaways, but that stiff 116mm suspension isn't going to bail you out if you get offline in the rocks. Between all that route finding, suspect tire traction and tall bike cornering skills, the Pivot had us hitting the brakes more than we'd like on our burly downhill time trial course. As a result, the Pivot came in fifth, trailing the more aggressively angled Ibis Ripley LS by 4.6 seconds. The Pivot's suspension outperformed the 2017 Ibis on bigger hits, never once bottoming out whereas the Ripley LS did so regularly. (Tweaks to the 2018 Ripley remedied this weakness.) However, the Ibis had better small bump compliance, more trustworthy tires and fit our riders better, making it easy to shift off the back at will. These factors combine to make us feel more comfortable opening 'er up. The Mach 429 Trail shines on the climbs. Pedaling the Mach 429 Trail bike on fast rolling singletrack is pure bicycle bliss. It feels quick off the line and holds momentum. Many bikes want to keep a steady pace. The Pivot doesn't mind stopping and starting, an asset on technical trails. It's a smooth grind standing or sitting, but when you're cranking speed, it feels better in the saddle. The Mach 429 Trail's suspension is strict but proficient. The stiff head tube makes the fork feel rugged and capable, and the bike has a balanced feel overall on the climbs. It negotiates uphill impacts surprisingly well, but it takes a lot to get into the travel. Once we're there, we run through it pretty quickly. The bike feels extremely firm. Its shorter suspension means that it doesn't have as much room to ramp up, making it difficult to allow for a subtle initial stroke. So it doesn't have one. The bike has good traction in climbing mode, is very efficient in trail mode and is still a strong climber with the shock open. The pedaling platform of the DW-link suspension system is excellent, something we've come to expect. When locked out this bike feels like a hardtail. You barely notice there is a shock at all until you head down the hill. The Pivot has one of the stiffest bottom bracket to drivetrain interfaces in the test, transferring power from the pedals to the gears with very little torque. It's an efficient, stiff drivetrain with solid power transmission. The Mach 429 Trail's suspension also does a really good job of holding the seat tube angle steep enough to pedal the bike even at extreme, rock slab climbing angles. It doesn't drop sag into the bumps. You only get mild feedback on the smoother climbs. It can feel less efficient in chunder, but the power transfer is there. The Mach 429 Trail is explosive, powering up things easily and begging for more miles. It's a great pick for a sprint finish. The Pivot is easy to maneuver on the climbs, or logs. Easy to handle on the climbs, the bike is direct, responsive, and easy to maneuver around obstacles. The light bike is also easy to wheelie over them. When heading uphill, the Mach 429 Trail can cruise around wide corners and pedal out of sharp ones while maintaining a lot of its momentum. Flat corners are a breeze. Snappy even on the steep stairs, the Mach 429 Trail is the easiest bike to get around on our tricky uphill pedal-test. Though if you try powering through the stairs rather than manualing over them, the bike will buck. There's just not enough compliance. Due to its light suspension, the Mach 429 Trail doesn't have the most stable tracking on technical uphills. It won't just plow through the rocks. It jostles through. You've got to pick a line more than you do on longer travel bikes with bigger tires. The wimpy back tire can also spin out on rock steps. It isn't that comfortable, but it doesn't get bounced out of line as much as we expected. If you do happen to hit something bigger than you planned, the Mach 429 Trail is quick to bounce back. On smoother trails, where bigger travel bikes with wider footprints start feeling heavy, we'd rather spin around on this light and lively bike any day. The Mach 429 Trail makes uphill easy, climbing to the top of the metric with ease. Nearly automatic steering, easy maneuvering, great rollover and excellent power transfer have us reaching for the Pivot every time for long climbs. Bikes like the Santa Cruz Tallboy tops it when heading uphill for its extreme comfort and comparable skills. With a nearly identical result to the first place Santa Cruz, the Pivot comes in second in our smooth course uphill time trial, which took an average of 3:24 minutes:seconds. The Mach 429 Trail came in just behind the Bronson on our smooth climb in a surprise upset. We expected the 29er Pivot to hold on to more rolling speed than the 27.5 Bronson, which felt like it required constant pedaling to hold speed. The Santa Cruz cockpit is more comfortable, however, and we think this may have led to more inspired rides. It is important to consider the relative ease or difficulty of maintaining your mountain bike. These bikes are high tech machines, and they need to be serviced regularly. Our ease of maintenance rankings are based on the frame, suspension, brakes and dropper seat post. Check out our methods in the full review. Pivot bikes use the DW Link. Bearing life tends to be excellent with these bikes as the pivot tolerances are solid. Fox prescribes servicing its suspension components less less frequently than RockShox. We rate it higher as a result. Be aware though, many mechanics see Fox products in between service intervals. Pay attention to your bike's feel and sound . SRAM brakes are harder to bleed than Shimano. Here are the OutdoorGearLab measurements of the Pivot Mach 429 Trail. Read more in How We Test. Pivot runs a DW-Link suspension system. It's a short dual link (SDL) system named after its creator, suspension design luminary Dave Weagle. One of the links is located just above the bottom bracket. The other connects the seat stay and rear shock to the seat tube. The design is celebrated for its ability to reduce pedal induced bob, making for very effective power transfer. We found the Mach 429 Trail to excel in this regard. We tested a size large Pivot Mach 429 Trail and found a 68-degree headtube angle, a 71-degree seat tube angle, 418mm reach, 443mm chainstays, and a 1162mm wheelbase. The 632 effective top tube is the longest in the test, and the seatpost height seemed too lofty for the other proportions of the frame. The seat tube height, slack seat tube angle, and bulky saddle made it hard for some of our testers to get behind the bike. In 2016, we ordered the medium-size Pivot Mach 6 for our enduro mountain bike review, based on the company's 5'7" to 5'10" sizing recommendations for our 5'7" to almost 5'10" testers. Nonetheless, we had fit problems on the Mach 6, centering around its short, 397mm reach and 71.8° seat tube angle. When we chose the Mach 429 Trail for our 2017 trail bike review, we debated which frame size to pick for this round. Based on Pivot's sizing recommendations on their website, and decided to purchase a medium bike. In addition to the frame sizing guidelines listed on their website, Pivot also recommends seeing a Pivot dealer for a precise fit. During this process, we spoke to Chris Cocalis, President/CEO, of Pivot. He suggested we size up to a large to get a longer top tube that would better align with the style of our aggressive test riders. Mr. Cocalis said, about our 2016 review of the Mach 6: "For those that are either not as aggressive or prefer more traditional geometry, the size medium would work fine. All our enduro and more aggressive riders size up." Mr. Cocalis also noted that this is an intentional design feature of Pivot bikes, being able to size by body type and riding style (another good reason to visit a trained Pivot dealer to get properly fitted). Pivot was kind enough to send us a large Pivot Mach 429 Trail to ride alongside the medium for a short period to ensure we picked the best size. Most testers felt that either the medium or large would work after pedaling them in a parking lot. After more extensive riding, several testers noted that the medium bike felt cramped on the climbs and put us right over the fork on descents, the reach (claimed at 409.2mm) was feeling a little short again. This was our major issue with the 2016 Pivot Mach 6 in our enduro review. Based on this experience and the advice of Pivot's CEO, we went with the large. Pivot graciously allowed us to switch out the bikes. It's a cool concept — a bike that you size according to the rider's style as well as physical size — but, it didn't work flawlessly for us. The large fits our testers better for the climbs and felt good on most descents. But, even after our efforts to find the right size, the Mach 429 Trail's fit did not work as well for our testers on aggressive descents as the competing bikes. All four downhill testers had a hard time getting behind the saddle. After finding that the dropper post and seat tube put the saddle at a descending height in line with the other test bikes, we think the issue is the cockpit's forward of center body positioning and slack seat tube angle, which we measured at 71-degrees. As a result, the reach feels a little short in relation to the top tube length when riding aggressive descents. This means you have a longer distance to travel to beat a hasty retreat behind the seat. When the bikes are organized in order of reach length, the Pivot Mach 429 Trail is in the middle of the pack. However, it's effective top tube length is the longest in the test. (Measurements by OutdoorGearLab. Read about our methods in How We Test). Bottomline: We found the sizing sweet spot to be narrow on both the 2016 Mach 6 and 2017 Mach 429 Trail and harder to hit than the competing brands we tested. The company's recommendation to seek out a Pivot dealer to get a proper fit seems wise and a more important step with Pivot than with other manufacturers. A stiff front triangle supports the excellent performance of the boosted 130mm Fox 34 Factory fork, though it's small bump compliance isn't the best. Pivot set this bike up with a nice, speed focused build. Fork and Rear Shock — The boosted 130mm Fox 34 Factory fork and the Fox Factory Float DPS rear shock work well together on smoother sections and big hits. Everything in between is rough enough to affect handling stability and confidence levels. Subtleness early in the stroke is not the Mach 429 Trail's strong point. The frame's front triangle is very rigid, increasing stability and the stiffness of the fork. The rear suspension linkage function solidly. The Fox Factory Float DPS rear shock has a linear curve that handlings bigger hits better than the smaller stuff. Groupset — We loved the function of the SRAM X01 eagle drivetrain, with smooth, pleasant shifting and a near-enough to endless gear ratio, BUT we busted three chains during testing, on three separate bikes. We don't take chain failure lightly. We like the SRAM X01 Eagle but worry about chain strength. The Shimano Deore XT brakes feel amazing. We all like them, but the transition from the SRAM Guides on the other bikes is always startling. The Shimanos are more grabby, taking less finger strength effort at the lever to slow your roll. Mixing SRAM eagle shifters with the Shimano brakes came at a cost though. They don't mount on the same bracket. This places two brackets side-by-side, making it harder to micro adjust their relative positions. If you get the shifting lever perfectly in place, the brake must go on one side or the other (and vice versa). That's a pretty big leap. Only one tester had a problem with it, and some feel this adds more adjustability than a matchmaker clamp would. It's not a deal breaker but can be an annoyance. It's hard to argue with Shimano Deore XT. Handlebars, Seat and Seatpost — The fat and soft Phoenix Lock-on grips are comfortable for resting but less so for riding. The Phoenix Carbon Riser handlebar is fine if a little narrow at 740mm. Have SRAM shifters and Shimano brakes mounted side by side seems to add extra adjustability but each bracket's placement limits the other's. We didn't love the fat grips and the bars felt narrow to our 800mm accustomed arms. One of our testers like the extra substance on the WTB Vigo saddle, but the rest of us felt like it was just too wide. We'd like something narrower, especially when dropping back for control on the descents or steep turns. There it was a major problem, making some of our testers feel a little desperate trying to dodge it quickly. The 150mm Fox Transfer Hydraulic dropper post serves its purpose, but we don't love the lever. That wide and cushy saddle blocked easy access to the back of the bike for three of our four downhill time trail testers. They got better at dodging it over time. Wheels and Tires — The Maxxis High Roller II and Ardent front and rear tires mounted on 25mm rims are light and efficient. But, the rims feel narrow, and the overall lack of traction keep these tires from working in the gnar, especially if you encounter the wet. The front tire's poor cornering knobs don't help. Squaring up to a corner has us sliding out every time, and we have to slow our cornering approach. The rear tire also loses traction when conditions deviate from the ideal. You can get tossed around a lot. They are fine on hard packed, mellow trails but are less predictable when it gets loose or rocky. The 2.3" Maxxis High Roller II didn't offer up enough traction for the technical trails in our mountain town terrain. The tire size just wasn't enough for the speed (i.e., aggressive riders who like to go fast) and terrain (i.e., mountains with rocks). We'd like a wider set that we could put some confidence in, like the endless traction offered by the Ibis Ripley LS's Schwalbe Nobby Nics mounted on 35mm rims. The rear Maxxis Minion DHR2 on the Santa Cruz Bronson has superior traction on wet rocks. With the lowest price in the test, the Pivot Mach 429 Trail's value is solid. When you add in the optional 150mm Fox Transfer Hydraulic dropper post, the Pivot's price rises from $5,999 to $6,263. Its build also features high-quality components, giving you a lot of bike for the price. Adding the Ibis's wider rim wheels and tires and possibly a volume spacer in the rear shock to make it more progressive, letting you use less air pressure and get a little better small bump compliance would widen the range of trails this Pivot could attack. Of course this goat is hanging out on a mountain top. This 116mm xc/trail bike pushes past the more aggressive trail bikes on the climb and is a scrappy descender for its weight class. It climbs like a dream and, while it's just not as fun on the downs, the experience would improve quickly with some wider rims and burlier tires. If you only hit the occasional rocky section and tend towards smoother trails, this is a great bike for you as is.